Here’s a very simple Cole Slaw recipe that’s mayo free. Feel free to add more ingredients like raisins, chia seed or any other topping you would like. I kept it simple with what I had available at home and it still came out great. Clean and crisp salad for summer time! 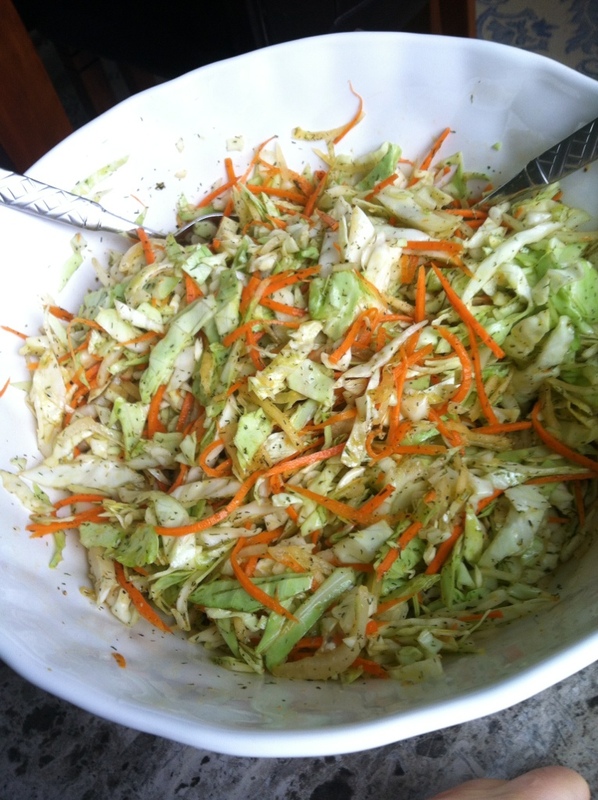 Toss the shredded cabbage, apple, carrot, onion into a large bowl and stir to mix. Drizzle with the olive oil- enough to coat, but not too much. Sprinkle with vinegar, agave nectar, dill, cumin, sea salt and pepper, to taste. Toss to coat. Test it and add any ingredient according to taste.